This 4-car garage story and half fits on a variety of lots. 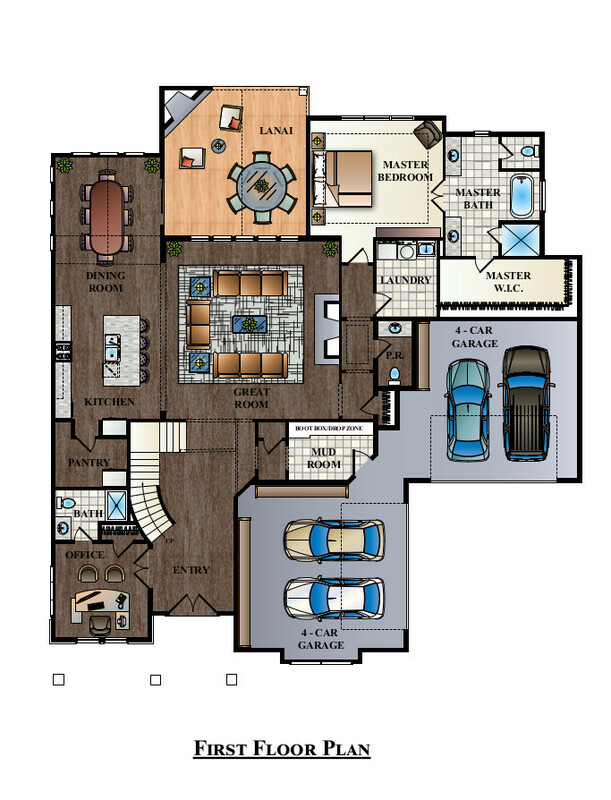 Designed specifically to fit a 4-car garage story and half plan on a narrower lot. 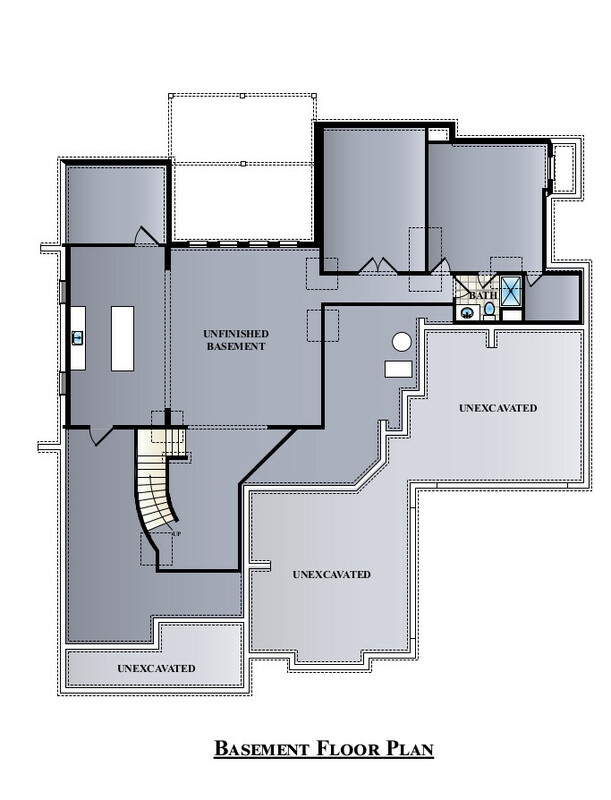 It features an open floor plan with a 5th bedroom/office on the main floor.